The health benefits of playing sports include proper weight management, efficient functioning of the heart, controlled diabetes, lower cholesterol levels, improved blood circulation, and lower hypertension and stress levels. It helps in the toning of muscles and strengthening of bones. It also brings positive energy, discipline, and helps in building self-esteem and mutual respect. Obesity is a big issue faced by millions of people across the world. Over 55% of the adults in the US are obese, which is indirectly paving a way for chronic conditions like cancer and heart diseases. The American College of Sports Medicine says that this issue can be dealt with indulging in sports or similar physical activities. Playing sports also helps in maintaining lower cholesterol levels. Some experiments showed that compared to athletes, LDL or bad cholesterol levels in sedentary people were much higher, while HDL or good cholesterol levels were significantly higher in athletes. Regularly indulging in exercise and sports makes the body immune to many diseases that usually affect a person due to weak immunity. When a person exercises, the rate at which white blood cells reach every body part increases significantly. Playing sports increases sweat production and also removes toxins. Due to the rise in body temperature, the chances of bacterial growth also lessen. Sports are actually the best form of work out for muscles. Toned muscles are always desirable and that’s what you get when you play sports. The endurance of muscles also increases with time and this helps you in gaining a stronger body. Both inner and outer muscles get toned up when one plays any sport. For example, running involves working out both the inner and outer thigh muscles. 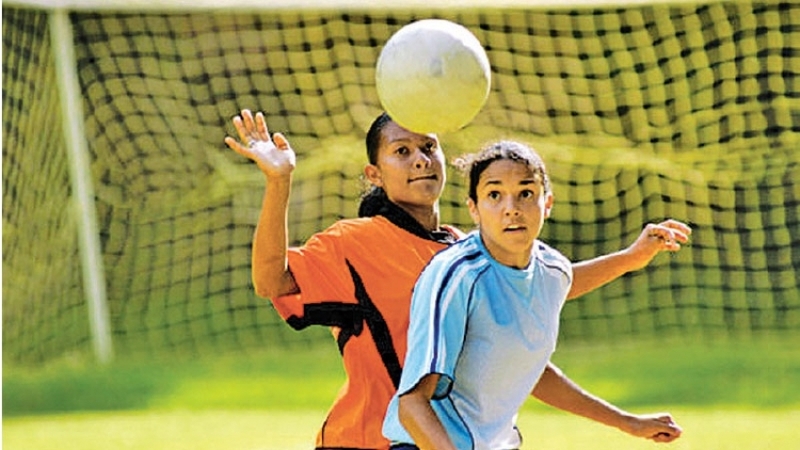 Playing sports is beneficial in strengthening not only the muscles but also the bones in your body. Bones get their strength from bone density and aging decreases bone density, which can result in osteoporosis. Taking up sports is perhaps one of the easiest ways to maintain bone density and strength for people of all ages. Sports can bring a positive attitude to your life if played in a healthy manner. It refreshes the mind and helps in developing a positive and fresh outlook towards life. Discipline becomes a natural part of life when you start spending time playing sports. This is because sports inspire people to live life by certain rules and regulations and move towards a positive end. Children who indulge in sports feel healthier, and develop better and healthier relationships with other people because a positive, team-based outlook is instilled in them.